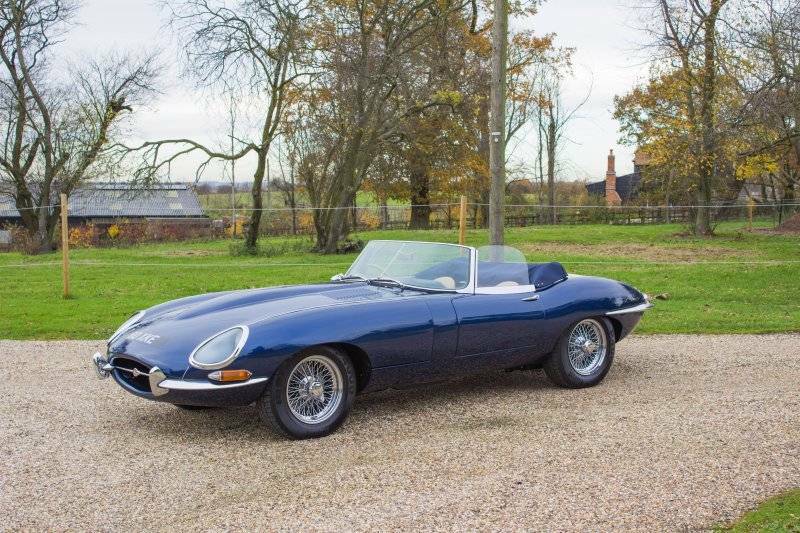 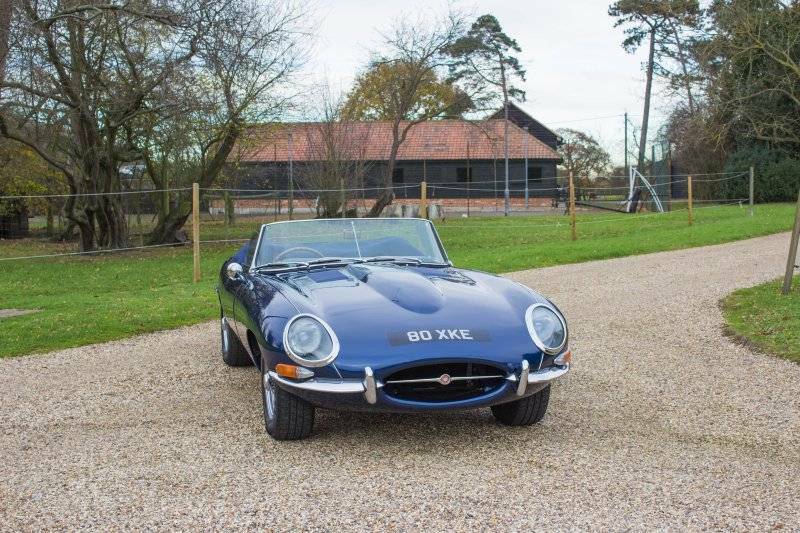 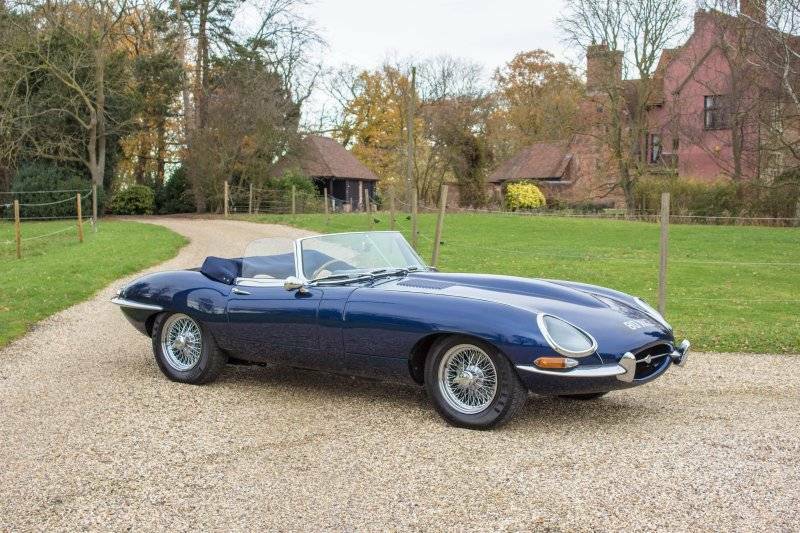 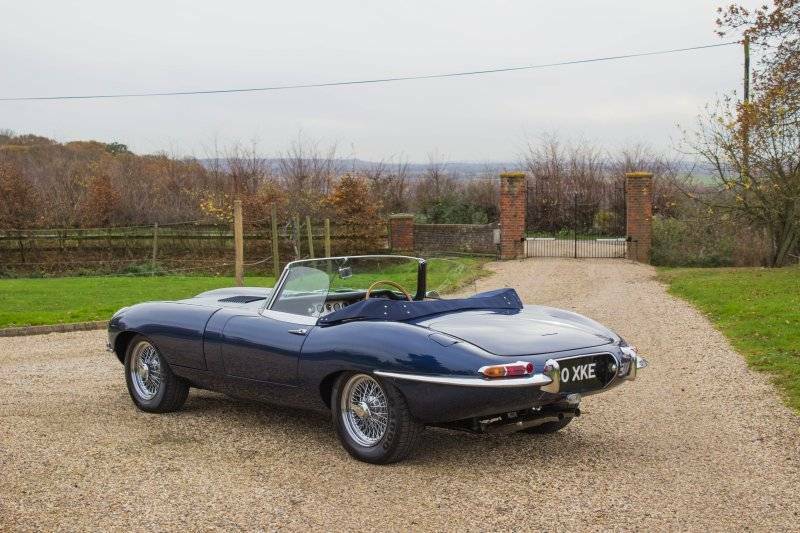 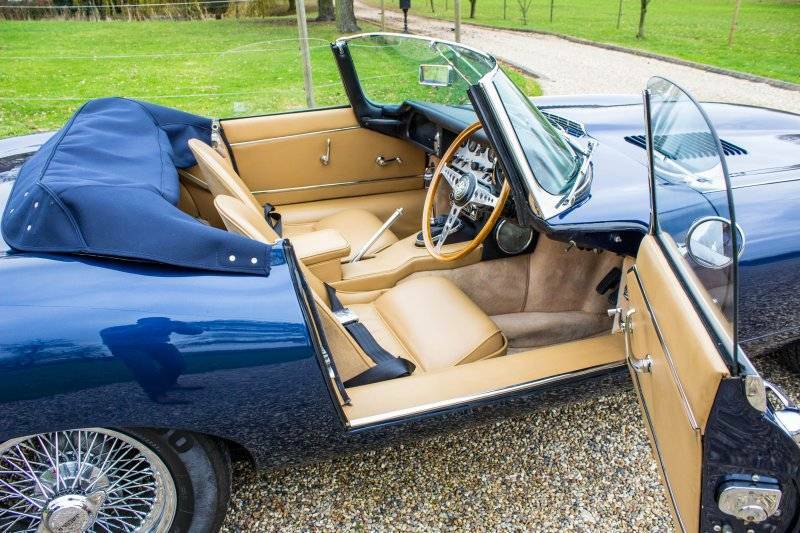 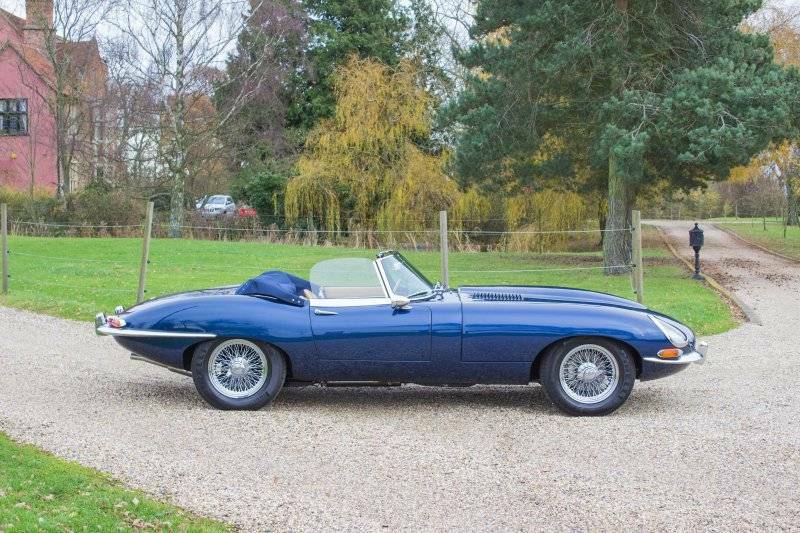 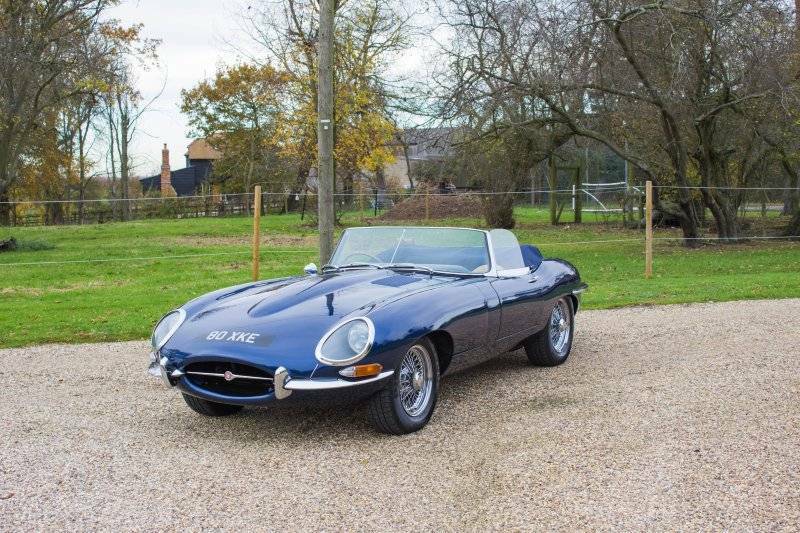 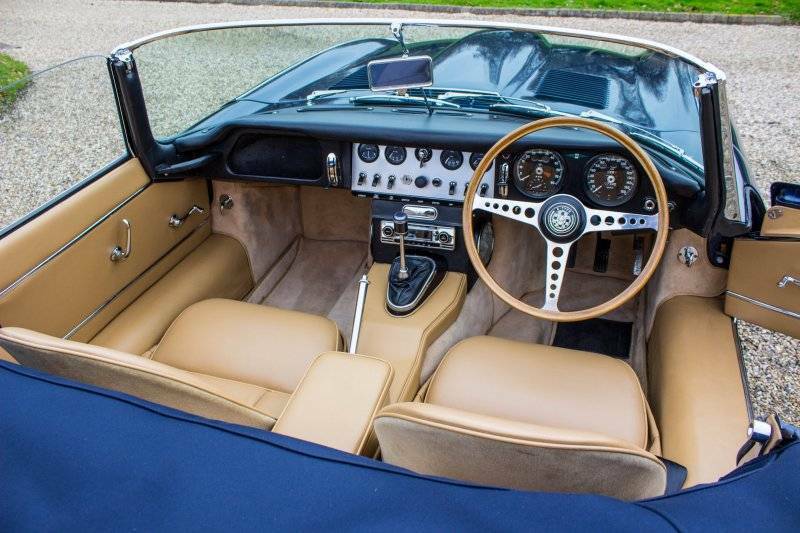 This original early right hand drive, UK supplied example of the iconic Jaguar E Type Roadster was delivered new by Henlys of London on the 22nd January 1962 to a Mr William Alderton of Hertfordshire, has subsequently had just four owners and is at time of print one of only twelve 1962 cars that have survived. 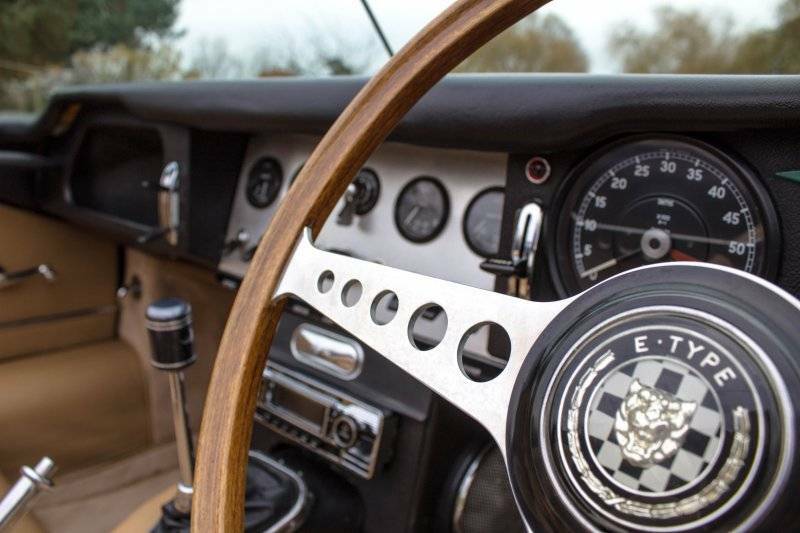 Complete with a fantastic 4 inch history file which includes the original buff logbook and Heritage Certificate and more recently has the most detailed and thorough description and dated itemisation of the restoration that was carried out from 2001 to 2003. 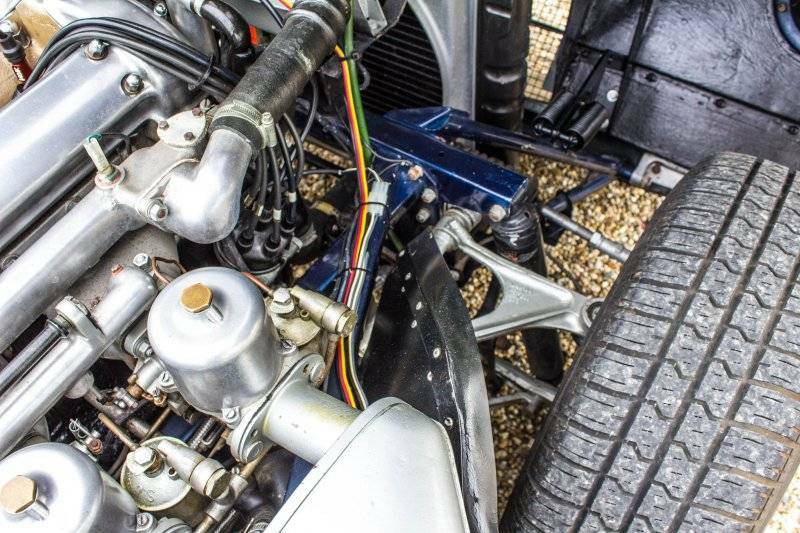 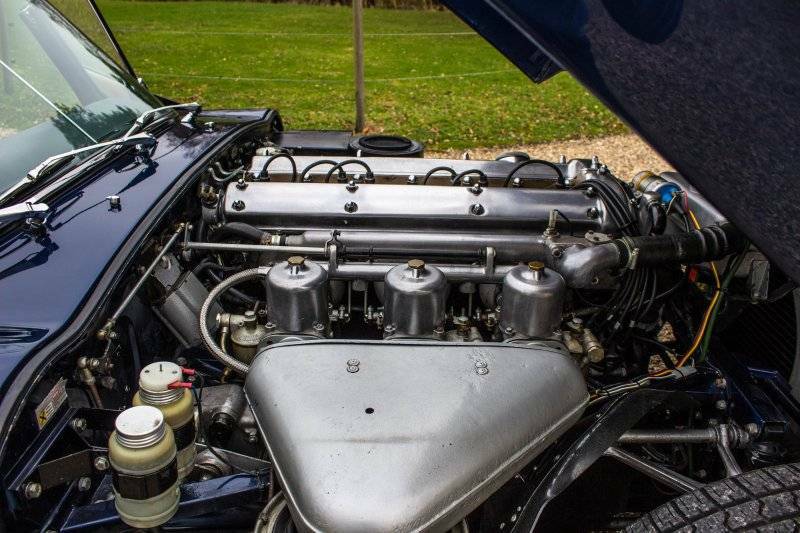 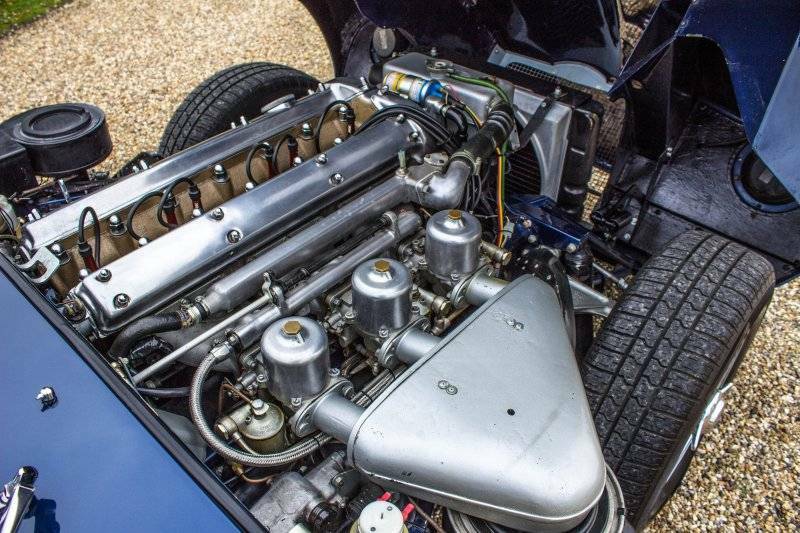 During this period the car benefitted from some sensible upgrades including Coopercraft brakes, Getrag 5 speed gearbox (original specification gearbox included with the car) and 6.5” wire wheels. 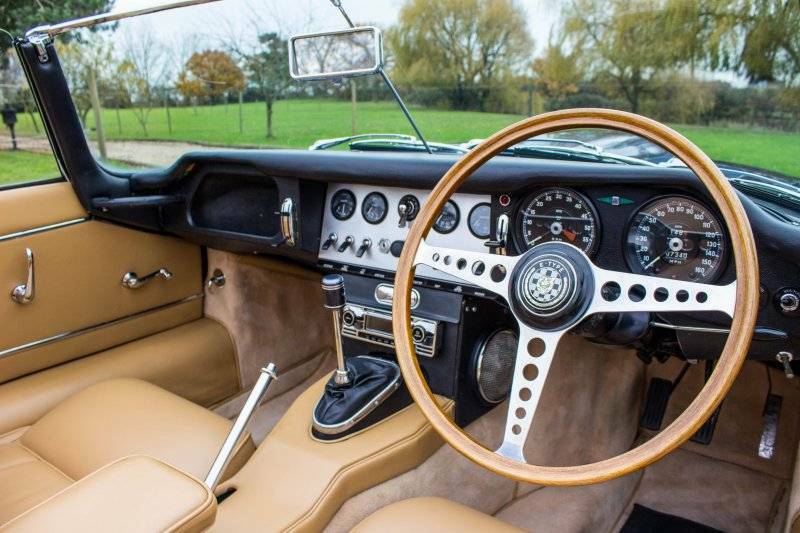 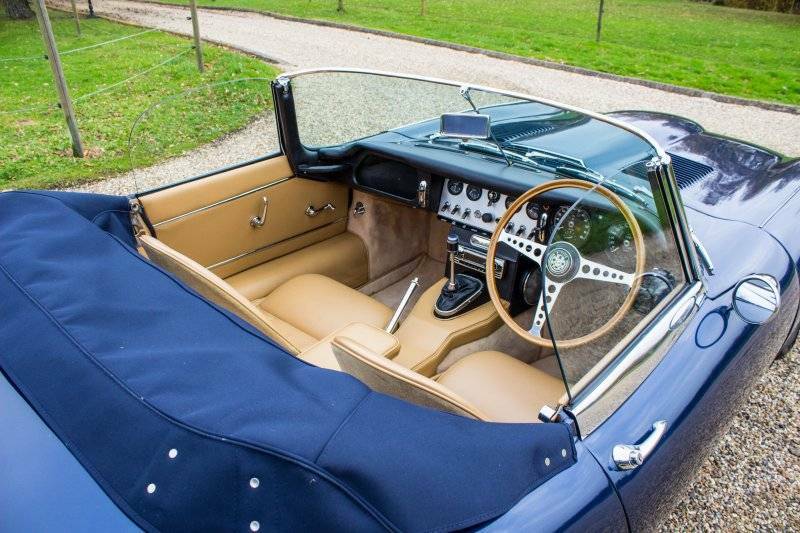 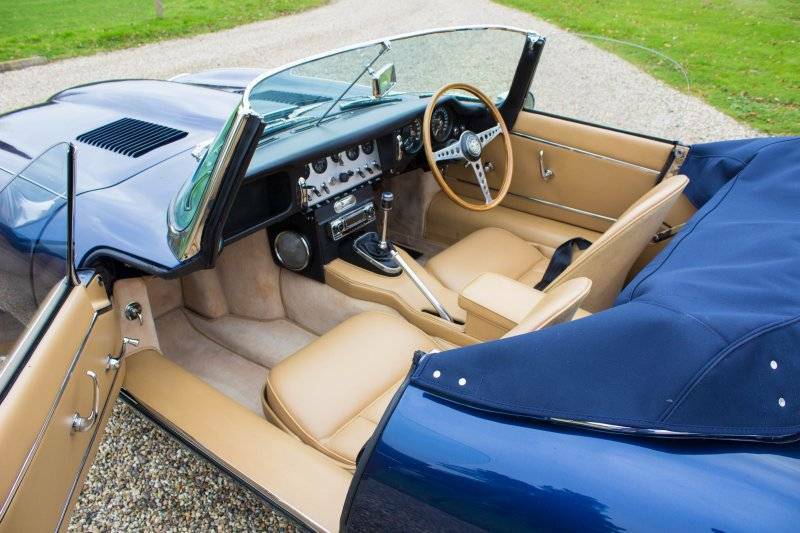 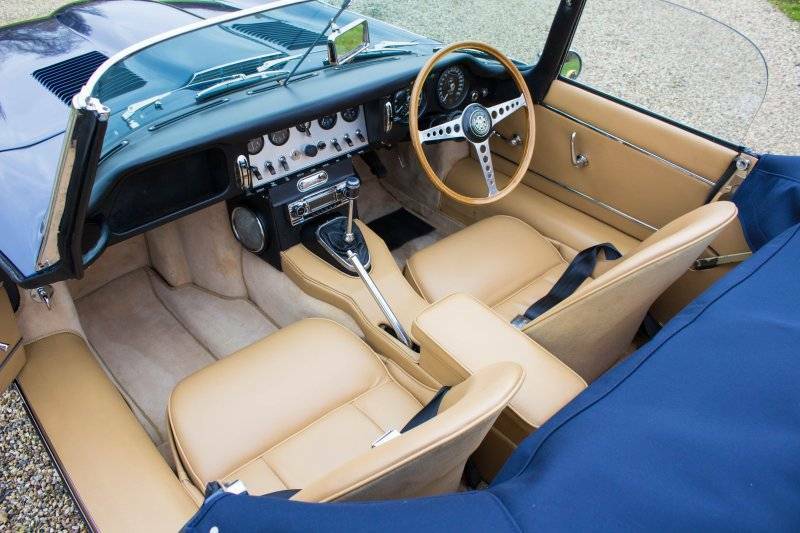 During this restoration the car was re-painted in Metallic Dark Blue in tribute to the famous Ecurie Ecosse machines and the interior was completely re-trimmed in Tan leather to a high standard and presents extremely well and features a Motolita steering wheel. 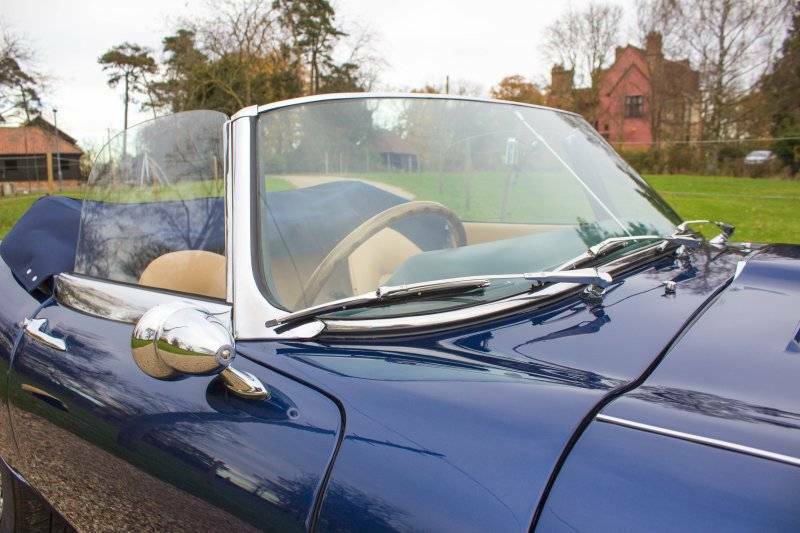 The roof was also replaced during this time. 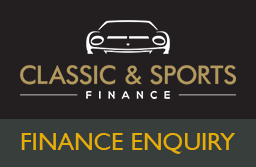 The car has resided in a major private collection until recently and has been fully serviced and inspected prior to arriving with us here now, the car drives exceptionally well and the uprated gearbox and brakes make this an ideal example for European trips and regular usage. 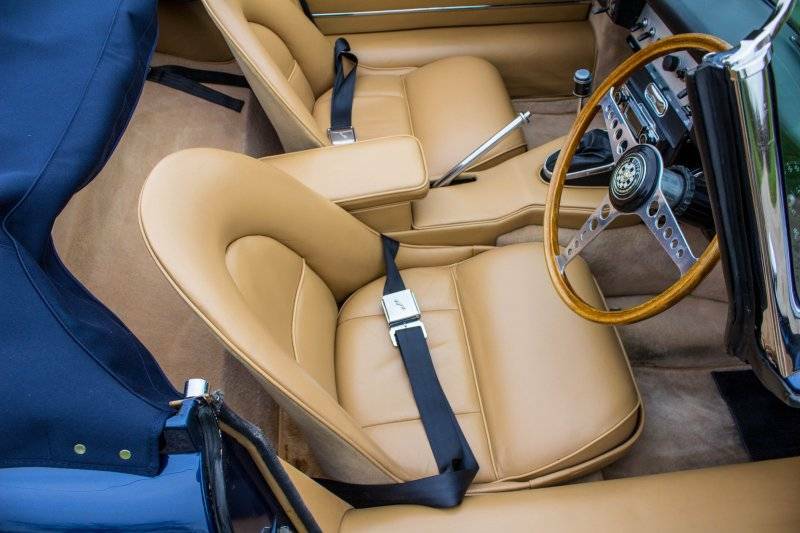 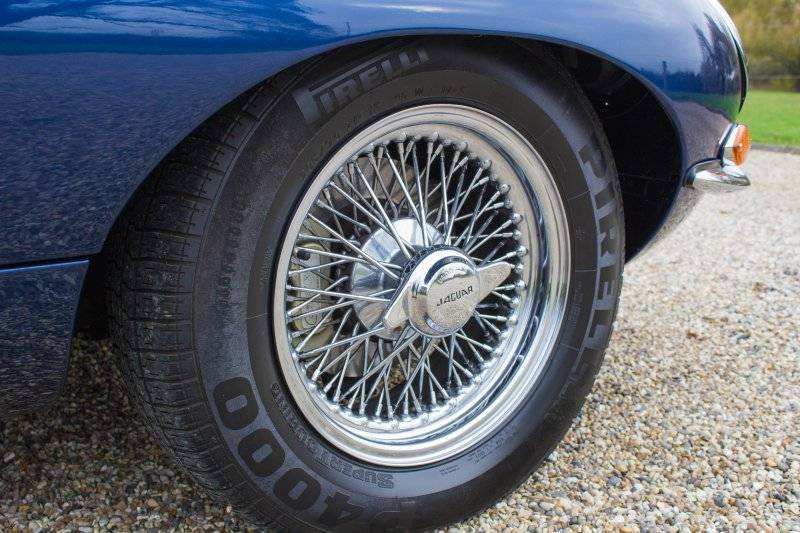 To add to this, the car has been fitted with the desirable later ‘heel wells’, many E Types were retro fitted with this modification in period and makes the cabin much more spacious and comfortable again adding to the usability of this particular example. 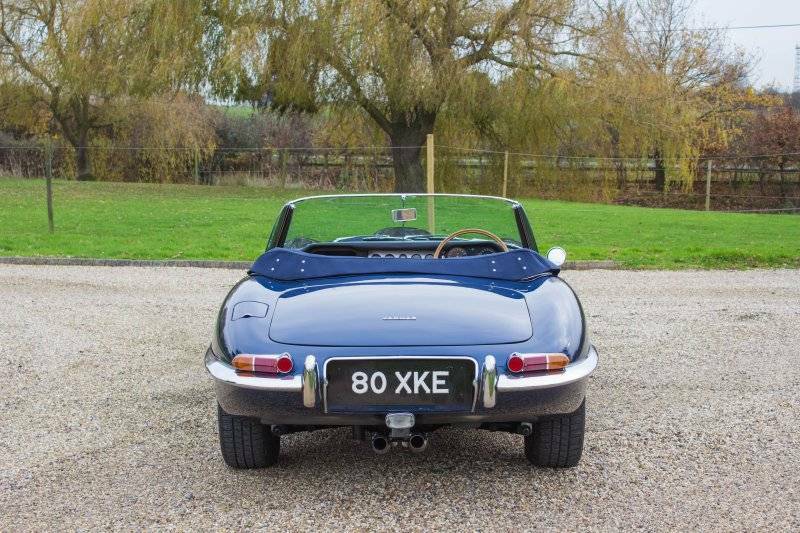 Owned by myself for a year, and has proven a pleasure to drive on long trips and even has been used for the school run.